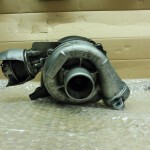 Check out our stock of Peugeot Boxer Engine for sale. Many Peugeot Boxer Engines in Stock inc 2.2 HDI, 3.0 HDI. 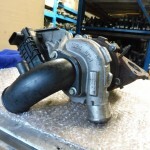 Here at Hayes Engines we are specialists in rebuilding, supplying and fitting re-manufactured Peugeot Boxer engine. We have a large range of high quality Peugeot Boxer engines for sale ready to be distributed or fitted. We supply Peugeot engines and engine parts throughout the UK and Europe. Based in the West Midlands we offer an outstanding level of service and also offering 12 months/ 12,000 mile warranty with all of our Peugeot boxer engines. We can re-manufacture any Peugeot Boxer engine back to a technical equivalent of having a new engine. However we keep popular engine in stock ready to be fitter or distributed. Please look at the table below for our popular Peugeot Boxer engines with engine codes for sale. If you do not find the engine you are looking for please call us today. We also stock a large range of Peugeot Boxer engine parts. These engine parts are either new or have been re-manufactured back to a high quality functional part. Our Peugeot Boxer engine parts include cylinder heads, pistons, crankshafts, engine blocks, fuel pumps and many more. If you do not find the engine you are looking for in our stock list call us on +44(0)1384 898 341. 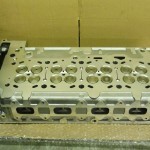 We may still have your Boxer engine in stock or we can re-manufacture your existing engine. What is a Re-manufactured Peugeot Boxer Engine? 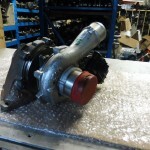 All of our Peugeot Boxers engines for sale have been re-manufactured to the highest quality. It is the technical equivalent of having a brand new Peugeot engine. The process of re-manufacturing starts with taking an existing Peugeot boxer engine and stripping it down. The engine is cleaned and inspected for any wear or damage. All parts that have been worn, damaged or non-functional are replaced with new or re-manufactured parts. The engine is then rebuilt by one of our highly experienced technicians. For more information on our re-manufactured Peugeot Boxer Engines and Engine parts please call us on +44(0)1384 898 341 or please fill out our enquiry form.